It looks like the cookie swirl has broken up to some degree. Well, it definitely tastes like oatmeal. 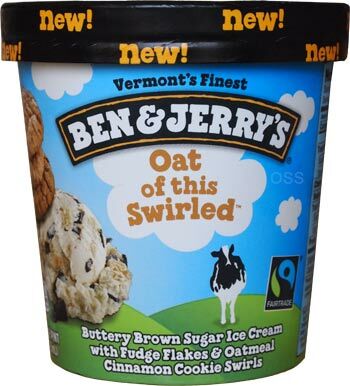 The broken up swirl puts a bit of oatmeal flavor in every bite. As I proceed, I think I like the bites with more oatmeal flavor in them. With that, you might ask, "what about the buttery brown sugar base?". It's not really coming across in the way you would expect. It's the oatmeal that comes across more than the brown sugar. As I dug further in, I did experience an increase to the overall sweetness, so I think that's where it comes in to play the most. I think I've only hit oatmeal bits or hunks but not swirls. All along the way, my spoon kept getting stopped by the fudge chunks. Like Truffle Kerfuffle, this seems to have a good amount of fudge chunks in it (though it's interesting to note that these are the same width but twice as long as the ones in TK). I am enjoying the chunks and overall they do go with everything else, but they are plentiful enough that they can start to dominate the overall flavor. Do I like this flavor? Ofcourse I do. Do I love it? I don't know yet, but I have the feeling it will continue to grow on me. It is a different experience in the way that we get the flavor of oatmeal as opposed to the sensation of biting in to oatmeal cookie dough. I've heard several people say this won't replace the beloved OCC and I'm guessing that's why. On Second Scoop: Let's see if I can do a better job of explaining this one. 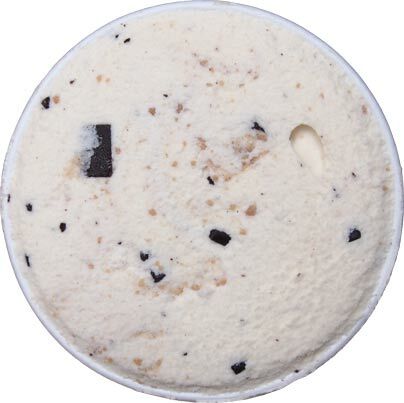 The brown sugar comes together with the oatmeal cinnamon swirl to create a pleasant flavor though not necessarily one that will remind you of oatmeal cookie dough. I actually wound up avoiding the fudge chunks for the most part on this second scooping because I was really trying to analyze the complexity of what's been presented to us. Once you start chomping on the fudge "flakes" (as tasty as they may be), you will start to lose all the nuances of what's going on. It's a neat flavor and I look forward to continuing my analysis. In particular, I will continue to wonder where the oatmeal ends and the brown sugar begins. I think this is an accurate review. It's really good - probably my favorite of the new flavors. The fudge chunks are delicious, but a few less of those and a lot more swirl would be nice. 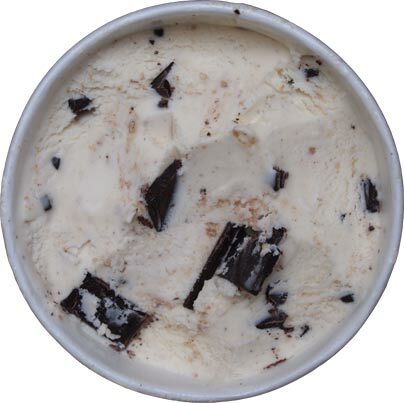 Agree about the fudge chunks, they totally dominate the other flavors and there are way too many (at least in my pint). And "swirl" was definitely misleading. I flat out hate the "fudge chunks" in their flavors. First of all, "fudge" implies soft and secondly, they're hard flavorless wafers that take away from the enjoyment of the actual ice cream or at the very least hinder my spoon's accessability to it. 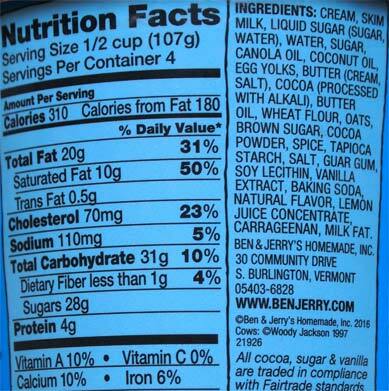 I feel like B&J decides on fudge chunks when their flavor is complete but doesn't meet some mix-in quota. "I don't know, just throw in fudge chunks"
Thanks for reviewing this one Dubba, I've been eager to hear about it. Unfortunately, I still don't have much of a sense of it so may just have to buy a pint and try it for myself. I don't have to much hope for it. Doesn't really look too special and definitely not a replacement for Oatmeal Cookie Chunk. I just had this today and it was pretty good. If they had used the white chocolate chunks from New York Super Fudge Chunk(butterscotch chips would be even better, if they wanted to use something new), I would have liked this one A LOT more. That flavor profile would make more sense to me. I must have bought a bad batch because I don't taste the oatmeal, cinnamon or brown sugar. This tastes more like a vanilla ice cream with hard chocolate squares and a sprinkling of cookie dust. Although, it does have a faint oatmeal aroma. That being said, I will try this one again and see if I like it a little more. @Anon & @Anton: try to avoid the chocolate chunks if you havent already. I don't know if it was me overthinking it or more swirl, but the end of my pint (serving #3) seems a bit more flavorful than the first. 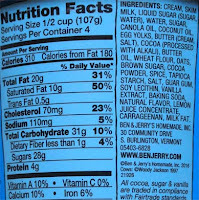 I agree with the previous Poster that said that B&J overuses choc chunks. It totally over powered this flavor. Discard the the chocolate all together, get a larger swirl and this flavor would have been great. I tasted zero oatmeal cookie, and there was no "swirl" just clusters of evenly dispersed crumbs that looked and tasted like struesel topping. The strusel topping comparison would've been a compliment if instead of fudge chunks they used some cherry or berry swirl. I ultimately ate the whole thing since it didn't taste bad, but at $4.99 a pint and 310 calories per serving, I am not buying it again. They had a perfect cookie-themed ice cream in Spectacular Speculoos, and they discontinue it and give us THIS? Really? They need to leave the "cookie swirls" to Turkey Hill if they're not gonna do it right. I’m late to the party, but just tried this flavor. I think it’s fabulous! Love, love, love the brown sugar base and the swirl! My pint has a strong oatmeal taste. Happy!